Welcome to Grace Like Rain Salon. We are excited that you have searched us out. 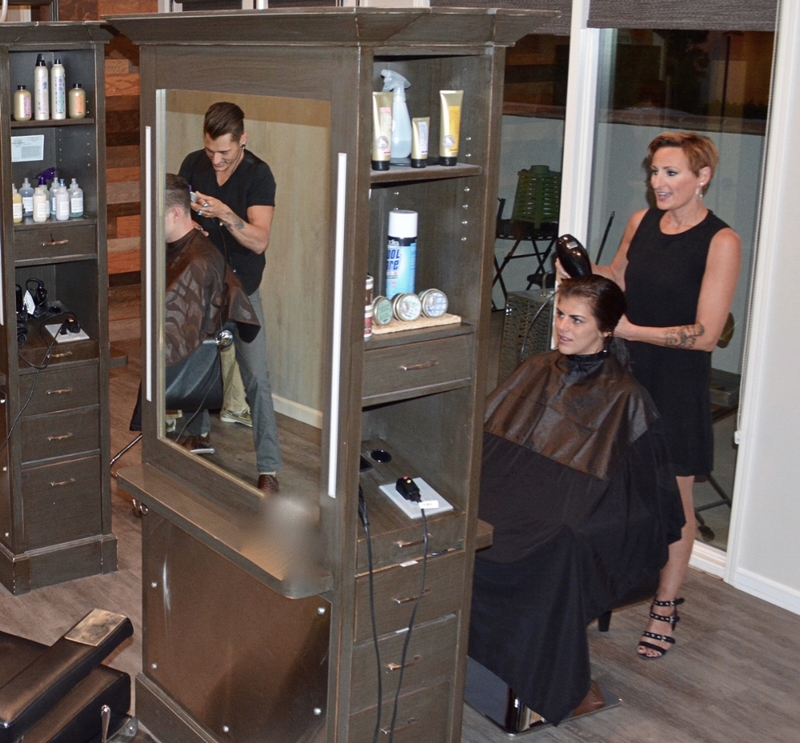 Grace Like Rain is committed to giving the best hair services that can be found. We are proud to feature Davines, the most amazing hair care and color products on the market. Kristin has over 20 years in the hair industry with a foundation built on Vidal Sassoon precision haircuts & flawless colors. She is dedicated to continued education, growing her skills and then sharing that knowledge with others. This passion led her to become a level one color educator for Davines. Kristin has also continued her education with the renowned Sally Rogerson of SR Education. Learning the art of haircutting and the art of teaching, she has committed herself to sharing this knowledge with other stylists. The GLR staff are coming together in this education experience. Come meet Kristin and experience this passion for yourself! Congratulations Kasey on your journey to London to pursue your passion for music. We can't wait for your return to the salon for winter break in December. Mark your calendars and plan on getting a haircut with Kasey for the holidays! A California girl from the start, Alexandra attended the cosmetology course at Vidal Sassoon Academy where she graduated at the top of her class. Her dedication to her craft has allowed her to work with some of the top hairstylists in the field. After several years of working in California, she was granted the opportunity to train with one of TIGI's top color technicians in SoHo, New York. Her education & experiences have brought her back to the people and place her heart belongs California. She is excited to bring all of her passion and skills to individuals alike, to give them a style they love. Alexandra is not currently booking online. To book an appointment with Alexandra, please text or call her. Using her craft to help people feel like their most beautiful self, Amanda sees being a hairstylist as an amazing gift. She is passionate about continuing her education, taking many classes to stay up to date and relevant in the rapidly changing world of style and fashion. Her goal: to help her clients have hair that looks natural and effortless and teaching them to replicate it. Amanda has been doing hair for almost a decade now & finds passion in creating awesome base color with perfect beachy highlights. She also loves doing hair for special occasions & can work with all types of textures, lengths & styles!!! the ins & outs of the cut!